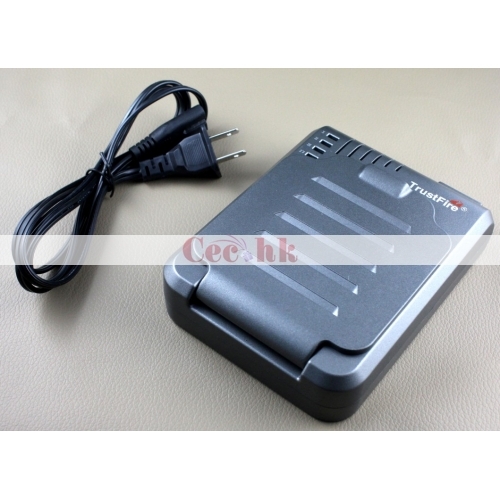 It can charge: 10430,10440,14500,16340,17670,18500,18650 rechargeable batteries or with PCB batteries. 1.Charger flip cover open,lithium battery positive and negative cells turn into the slo,then flip-good. 3.When power is off,the battery from the Bay to check out. This product only to charge the rechargeable lithium battery,such as users use this product for the other properties of the battery to charge,the company is not responsible for the serious consequences arising out of,use strictly in accordance with the said books use. Tell us what you think about TrustFire TR-003P4 Cylindrical Li-ion Rechargeable Battery fast Charger, share your opinion with other people. Please make sure that your review focus on TrustFire TR-003P4 Cylindrical Li-ion Rechargeable Battery fast Charger. All the reviews are moderated and will be reviewed within two business days. Inappropriate reviews will not be posted.